Do you have an AVI video file that you wish to play on a mobile phone? It could be that the file contains some important reference regarding your business and you want to study it on your mobile. It will allow you to check the file whenever you wish to while on the go. But there is a catch. Your AVI file won’t run on your mobile. Why? 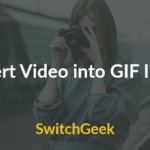 It’s simply because AVI files are usually larger compared to other video formats. Yes, you can compress them. But when an AVI file is compressed beyond a certain limit, the video loses out on its quality. There is no point in playing a ruined incomprehensible video. So, what’s the solution? Well, the best solution here is to convert the AVI file into MPEG format. The best advantage of MPEG is that it’s smaller compared to other video formats. And the best part is, an MPEG file does not lose out on the video quality even after compression. But, how to convert your AVI file into MPEG? Now, for that, you will need to install a video converter program in your system. If you are looking for suggestions, Movavi Video Converter will be great for you. It’s a widely popular and user-friendly software and assures lightning-fast conversion. 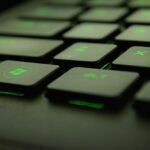 No wonder, the program enjoys rave reviews from both users and experts. You can consult www.movavi.com/support/how-to/how-to-convert-avi-to-mpeg.html to know more. 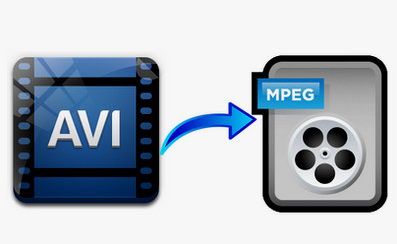 The post below offers a brief on how to convert AVI file into MPEG with a video converter software. The first step is to download and install the video converter software on your computer. A reliable software program will generally come up with installation instructions. Just make sure the software is compatible with your particular system before installation. After the software has been installed completely, it will open up in your system automatically. Now, it’s time for you to add on the AVI file to the program window. 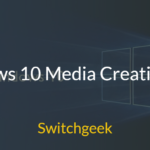 Look for a tab on the program window that signals to add media or video. As you click on it, you will be able to choose your AVI video from your system folder. After you choose it, click on it to bring the file to the converter program window. Now, you will have to choose the convert option which will be MPEG in your case. The best software will always contain a list of different MPEG versions to choose from. You can choose MPEG-1 or MPEG-2 when you want the video for your mobile phone. Otherwise, the MPEG-2 version will be suitable for Mac or PC as well. In case, you prefer to make video CD; you have to choose from SVCD or VCD options. You may want to convert the video for a DVD as well. A DVD will be important if you have to distribute the video to your office team members. Well, in that case, you will have to find a tab that allows DVD-friendly conversion. Now, let’s assume you have selected the output version by now. Great and we will start the conversion process soon. But before that, we will select the destination folder for the converted file. If we do this beforehand, the video file will automatically reach our preferred folder after conversion. To choose the destination folder, you can click on “Folder” icon on the program window. Otherwise, you can also go from “Save to” or similar field. After you have selected the destination folder, you will send the file for conversion. Look for the “Convert” or similar tab on your converter program’s program window. When you find it, just click on it and the conversion process will start in no time. After the conversion is complete, the file will directly go to the destination folder that you have chosen for it. 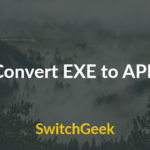 If you have multiple files to convert, it would be better if your chosen converter program supports batch conversion.